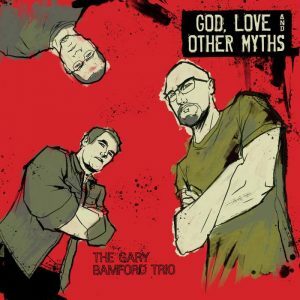 Those who are already fans, or have heard previous Gary Bamford releases are in for a treat on this, his 5th, full recording titled ‘God, Love and Other Myths’. From Swindon, UK, Gary has performed with a very long list of musical greats, and versatile could easily be his middle name. Comfortable with jazz, classical, and alternative styles, he has done soundtracks (check out ‘An Account Of A Savage’ for example), smooth warm classical jazz in the ECM vein (his debut ‘Jadj’, and also a double CD ‘Restrop Wood’, both with Ruth Hammond on sax, etc). Gary’s keyboard talent is apparent and as solid as they come. More styles explored and conquered would be his 2nd release ‘Soundtrack To Breathing’ which is as soothing and beautiful as keyboards can get. 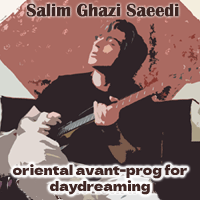 Classical, meditative, mostly electronic wonderland much like Ryuichi Sakamoto mixed with John Taylor. It is after listening to his entire output that one can more clearly see all the various inspirations Gary lists on the inside panel of this super nice multiple foldout digipak. 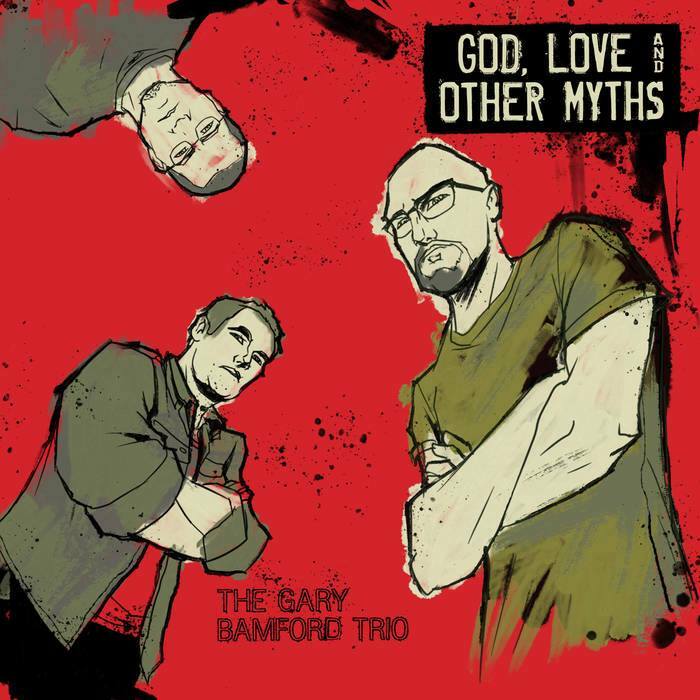 ‘God, Love and Other Myths’ was recorded with Gary Bamford – Keyboards, piano, spoken voice, Rob Brian (Peter Gabriel, Goldfrapp, Jason Rebello, Simple Minds, Siouxsie Sioux, Michel Polnareff, Jim Mullen, Andy Partridge, Hugh Cornwell, Modern English, Innes Sibun) – Drums, spoken voice and Al Swainger (Pointless Beauty, Digby Fairweather, Snow Giants, Grice, The Art Trip, Annika Skoogh Quartet, Paul Jones, P.P. Arnold) – Basses, spoken voice. This showcases yet more things possible in the world of Gary Bamford. A highly charged, with a coat of many colors, jazz rock in an opaque set of layers that slowly unveil. At times styles merge from hot avant rock and cool mysterious atmosphere, to playful (the 2nd track ‘Tiny Toon’) nearly Charlie Brown (composer Vince Guaraldi) music. The beginning is a loose funky number titled ‘Who’s This Prick’. One should not be alarmed at the spoken voice credits for each musician, as they do not dominate or even occur on each tune. In fact, they greatly enhance spots for a slightly dramatic effect and in a very tasteful manner. Out of 76 minutes from 13 compositions, the attentive listener gets an abundant variety and joyous journey of superb music. Very little is basic on this disc. 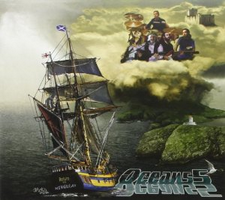 Inventive effects are added often like on ‘Cove’ (track 3), a very laid back latin flavored tune that made me think of a mix of Santana (think ‘Borboletta; album) and Quiet Sun. ‘Chaos Reigns’ (track 4) gives off a Soft Machine vibe. ‘Madagascan Mascara Massacre’ (track 12) brings rock in the jazz mix that would be right at home on a Matching Mole album (or nearly anything Robert Wyatt based). The final song ‘Johansson’ is a beautiful rich sombre acoustic piano dominated piece, with cymbal washes, toms to tympani effect, and subtle bass for punctuation. And then a nice percussive touch at the ending and a faint few words among the musicians as they bid farewell to the session. So there you have a small set of examples of what lays beautifully on this album. The listener should simply enjoy the thinking persons (the trio) highly skilled creations. This is a project for lovers of adventurous jazz rock that goes out of bounds quite a few times, and is top shelf writing. Sometimes the superb Al Swainger’s bass reminds one of Hugh Hopper and Gary Bamford’s electric piano has a lot of canterbury influences slipping out to excite. Rob Brian’s drums are akin to Charles Hayward (Quiet Sun, This Heat, Camberwell Now, and too many to list) much of the time. Everyone performs this ‘live’ with a few touches music, with pinpoint accuracy, plus the chemistry is astounding. RECOMMENDED.